Soooo! You want to perform some real estate due diligence in Puerto Rico? It seems you don’t want to look lost during your first real estate purchase in Puerto Rico? Want the seller to take you seriously and not pull a fast one on you? Then the following information is a must, read on. The first information you should ask for, is the cadaster number or “número de catastro”. This number will let you find out information regarding the property’s tax information at the “Centro de Recaudación de Ingresos Municipales” (Porperty Tax Agency) or CRIM. Furthermore, if you cannot find the “estate number”, which we will discuss its importance below, you could search within the PRO with said number. Also the cadaster number can help you use to great tool: the geolocalizador and MIPR maps from Puerto Rico’s Planning Board. Both interactive maps provide a wealth of information regarding the subject properties. Although often overlooked these maps provide information regarding property attributes such as zoning, estimated plot dimensions, probable soil attributes, infrastructure availability etc. Always ask for the location of the property, specifically the ward or “barrio” and the municipality or “municipio” were its located. We cannot underscore enough the importance of this information. Request the PRO’s description of the property or “descripción registral de la propiedad”. Said description, should include the estate number or “número de finca”, the number of the book (“tomo”) its inscribed in and the page number or “folio”. Now, all of this information should be included in the deed of the property and is usually located on an offset single spaced paragraph included in the deed. It should start with the word “URBANA” (urban) or RUSTICA (rustic), depending on whether the property is located in an urban or rural area. So in order to obtain this information, its usually easier to ask the seller to provide a copy of the deed to the property. Always ask if there is a home owner’s association and if so, request a certification from the association of any and all outstanding debt of the subject property. Furthermore inquire what the monthly due is and whether any raises on said dues have been approved by the association or are under consideration. Furthermore, inquire about any pending or recently approved extraordinary expenses or required payments that will become due to the homeowner’s association in the future. Remember if you buy the house with homeowner’s association debt or pending extraordinary dues, you’ll become liable for them. Request a certification from the CRIM or Centro de Recaudaciones de Ingresos Municipales (Property Tax Agency) of any and all outstanding tax debt for the subject property. Furthermore request that the owner provide a copy of the bi-annual tax bill, so you know exactly the amount of property tax you’ll be paying. As with the Home Owner’s Association Dues, if you buy the property with any tax debt you’ll become liable for it. Always, request a copy of the utility bills PREPA (AEE) and PRASA (AAA), so you can get an idea of how much you’ll be paying for utilities. Especially, if you’re buying a property that includes appliances, air conditioners etc. Always ensure that the property that you’re interested in is registered in the PRO. If not, obtaining a mortgage over the property would be impossible. Furthermore, the market by in large frowns upon unregistered property for many reasons and by enlarge the price is affected by this. So always be weary of unregistered property and if you’re going to proceed with purchasing said property make sure you factor it into the purchase price. Always, always, always…. did we say always? Yes! always ensure that all construction in the subject property has appropriate construction and use permits. Although the lack there off should not, in general, be a deal breaker, you should analyze if the illegal construction is in fact permittable. Furthermore you should consult with the appropriate professionals how much it would cost you to go about obtaining permits for said illegal construction. With said information at hand, you can factor this in to the purchase price and request an appropriate discount. Why do I need so much information? The real estate agent said everything was Kosher and that this was the best buy ever. He even said that the family room which is right next to the property limit, is the best feature of the house and although it has no permits, it was built well over twenty years ago so it doesn’t matter. Remember that the real estate agent and the seller will not have to deal with the problems you end up buying. Once they make the sale any and all problems are passed on to you and now it will be your burden. Sure, you can always file a claim or complaint against them, but still it will be your burden. So best be careful and savvy. And make sure all constructions on the property have the appropriate permits, including that great family room that was built decades ago. In Puerto Rico you’ll find a very useful tool, known as the Registro de la Propiedad or Registrar’s Office visit here. This entity is an office under Puerto Rico’s Justice Department (Attorney General of Puerto Rico). The purpose of this office is to publicize real property in Puerto Rico, its ownership, encumbrances as well as other information. However, it is important to point out, that the Registrar’s office in Puerto Rico does not provide or negate rights, it only publishes what has been recorded in its archives. Now, in order for a deed or other instrument to be registered before the PRO, its necessary that it be a public instrument. What that means, is that it has to be prepared and executed before a Puerto Rico licensed notary following all the legal requirements. So what does this mean? Well, you could perform a private deed with another party without a notary in which you sell a property. Although said deed would be legally valid, that deed would be barred from being registered before the PRO. Why? Because as stated above, in order for a deed to gain access into the PRO its necessary that it be performed in the presence of a Puerto Rico Licensed notary and that said deed follow all the legal formalities. Now, according to local law, some contracts require that they be registered before the PRO in order for them to be legally valid. One example of such contracts a mortgages. If a mortgage has not been registered before the PRO its not legally enforceable. So what benefits are derived from the PRO? The most important is that anything that is registered before the PRO, is reputed known to all. Therefore this is the best way to state your claim or rights and let everybody know about it. Furhermore, there is an old adage that states that “the first in time, is first in right”, therefor whoever is first to register will be first in right. Although the previous is not a catchall phrase and there are some exceptions, by in large this a very accurate axiom. So if possible, always register your real estate transactions before the PRO. Puerto Rico’s Law (different from the other states of the US) requires that all notaries be licensed attorneys. Therefore in Puerto Rico, all notaries are lawyers, but not all lawyers are notaries. According to the law, Notaries do not represent the interest of any of the parties involved in the transaction. His sole purpose is to guarantee that the deal was executed with the formalities required by law. Notaries usually will charge between 0.5% and 1% of the total deal amount. According to the tradition, the buyer selects the notary and the seller pays for his fees. However, the buyer pays for the first certified copy of the deed and also pays for any mortgage cancellation fees due at the PRO. Nonetheless, said tradition can always be negotiated and a different agreement can be made between the parties. Always ask for the Condominum Master Deed or “Escritura Matriz” and Condominium Regulation or “Reglamento de Condómines”. Make sure you read them, or have an attorney verify them for you. Also, remember that buildiuing subject to the Condominium Law, are not limited necessarily to multistory buildings. According to Puerto Rico’s Condominium, types of housing structures and even marinas and/or similar arrangements can be designated as Condominiums and therefore be subject to the law. Another thing you should inquire about when purchasing a property, if its not under the Condominium Law, is whether said property is under restrictive covenants or “servidumbres de equidad”. A restrictive covenant is a covenant imposing a restriction on the use of land so that the value and enjoyment of adjoining land will be preserved. In order for a property to be under restrictive covenants in Puerto Rico, said covenant must be registered in the PRO. Therefore, a title study should show if the property is subjected to restrictions or not. However, always tell the title company that you specifically want them to search for said restrictions. The reason for this, is that said restrictions might not be registered under the same page of the PRO’s registry as the property that you’re interested in, and therefore the title search company could miss it if not careful. 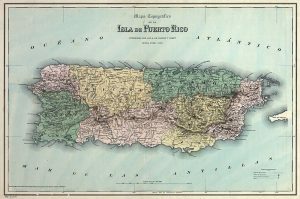 Puerto Rico’s Planning Board Geolocalizador (Geofinder) and Mapa Interactivo de Puerto Rico or MIPR (Interactive Map of Puerto Rico) are opne of the best and often most underused tools when researching information regarding a property. The best thing is that its free. 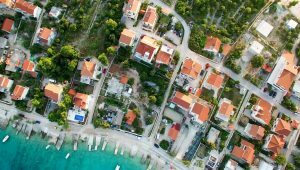 All you need is the cadaster number (número de catastro) and/or be able to find the location of the property from an aerial view. If so, a lot of information can be found thru this tools such as zoning, estimated plot dimensions, probable soil attributes, infrastructure availability etc. Appraisals are always a good tool in determining whether to proceed or not with purchasing a property. However, it must always be put into perspective that an appraisal takes into consideration the highest and best use determined by the appraiser at a certain point in time. The aforementioned does not take into account your valuation of the property according to your needs, vision and/or future plans for the property. Here in Puerto Rico property appraisals follow the same valuation standards, procedures and methodologies as the ones prepared in the US. Therefore, recent comparable sales are used by the appraiser to determine the valuation of the subject property. However due to the current economic situation in Puerto Rico, comparable property sales can be hard to come buy, specifically for rural plots of land and other specialized properties. Therefore, since appraisers have to follow established standards, it might take them more time than usual to prepare an appraisal as they have to search far and wide to find comparable properties that have been sold recently in order to use them as comparables. Still confused? Need more information or need somebody to perform due diligence on a property? Please contact us will be glad to help. Published on August 3, 2018.